When I first began my career in law enforcement nearly 40 years ago, I never thought that our part of Ohio would be one of the worst hit by the opioid outbreak. Southeastern Ohio, West Virginia and Appalachia as a whole are the epicenter of the devastating opioid overdose outbreak that is leading to deaths and crime throughout the country. In addition to the direct deaths and overdoses, those addicted to opioids are more likely to commit secondary crimes to feed their addiction. With home and car break ins as well as shoplifting incidents on the rise, we are all impacted by the opioid epidemic in very real ways. There is no doubt that prescription opioids and the greed of many manufactures teamed with shady doctors caused a lot of this crisis here at home. While many have rightfully held those responsible for the prescription drug crisis accountable, we all must understand that this not nearly the end of this crisis. While prescription drugs have long been blamed for causing the crisis as a whole, data provided by the CDC shows that we saw a 30 percent jump in opioid related deaths in 2017 alone. That is well after most drug makers had been challenged and practices were put in place to better track prescription drugs, those writing the prescription and the pharmacies dispensing the drugs. With all the added scrutiny on the makers and marketers of prescription drugs, how can we be seeing a such steady increase? The fact of the matter growth we seeing was not caused by prescription painkillers but by illegal dangerous synthetic opioids like fentanyl. Drug cartels in Mexico and smugglers in China have stepped up their activity. A few years ago few had heard the word fentanyl but now it is on the mind of everyone, including our law enforcement officers that can be harmed by a single grain of this stuff. Police are seeing an influx of “Mexican Oxy” knock off pills are stamped to look like legitimate drugs but contain a dangerous, illegal and lethal concoction that is killing Americans every single day. Far too often, we are seeing the new reality in law enforcement. Anyone who thinks that the Mexican Cartels or those in a Chinese smuggling ring are stupid – think again. They are finding new and creative ways to get their drugs around our system. In many cases, the USPS is acting as unknown couriers of extremely dangerous drugs. Scared and impressionable youngsters are being used to carry drugs across our wide open Southern border. While it is important to focus inward on those that have impacted the opioid epidemic and litigate those cases, it is far more important to focus on the current threat we face in America. Our leaders in Columbus and in Washington need to focus on the current threat and acknowledge that at this point in time, illicit foreign drugs are killing more people in America than anything. Now is the time to ensure that our law enforcement personnel have the tools they need to combat current and future threats. We need to invest in making our airports more keen on catching these drugs, we need the Post Office to step up and find ways to detect these drugs, and we need to make sure that our Southern border is not the gateway to America for drugs. Americans are rightfully outraged over the role prescription drugs played in this crisis, but it would be to our detriment to forget the growing part played by foreign manufactured illicit drugs, those that smuggle them around our nation and the ones in our community that sell the stuff. 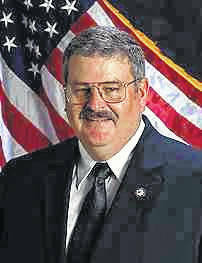 Steve Kane, of Shade, Ohio, has supervised Crime Scene Special Agents, Canine Units, and Narcotic Special Agents and worked with the United States Attorney’s Office and United States Drug Enforcement Agency in supervising multi-agency drug task force operations on several occasions.